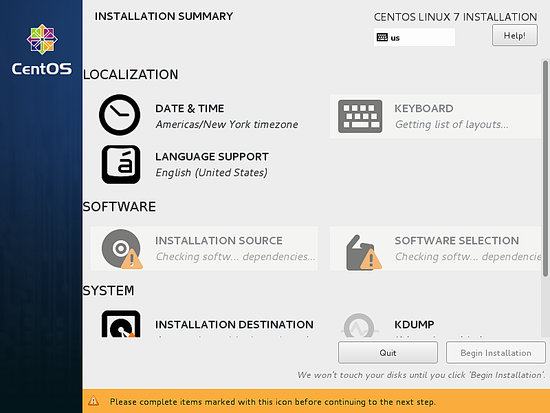 This document describes the installation of a CentOS 7.3 server. The purpose of this guide is to provide a minimal setup that can be used as basis for our other tutorials here at howtoforge like the perfect server guides or the SAMBA, LAMP and LEMP server tutorials. To get started with the CentOS 7.3 installation, we will need the installer ISO file. This can either be the CentOS minimal ISO or the DVD ISO file. 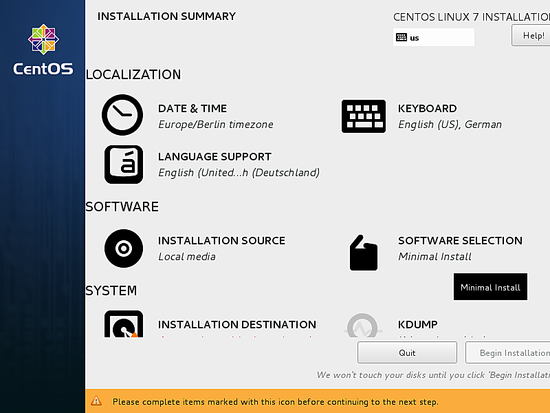 If you plan to install just this one server then choose the minimal ISO as it is a smaller, the installer will download the required packages during installation later. 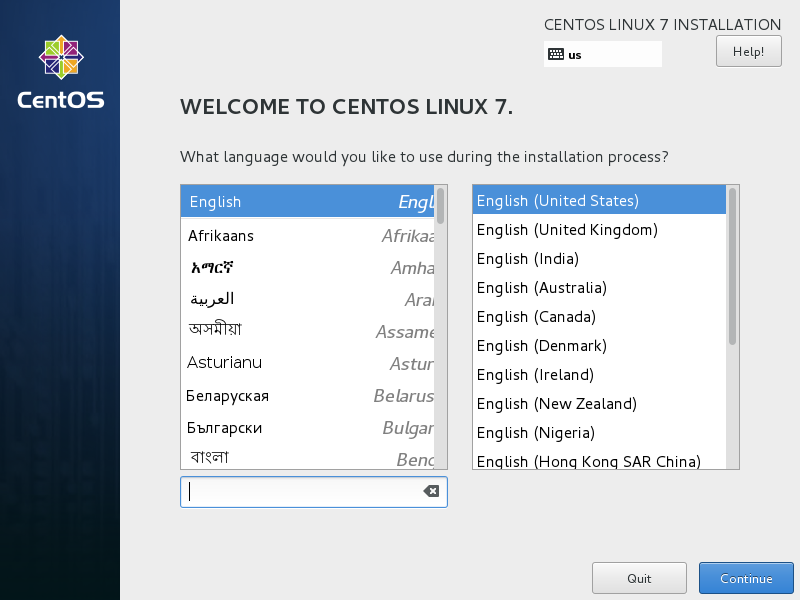 I will install several servers with CentOS 7.3, therefore I choose the DVD installer ISO so I dont have to download the same packages again for each server. I will do the installation on a VMware virtual machine. The installation steps on a physical server are the same. If your server is not able to boot from an ISO file, burn the ISO on a DVD and insert that into the DVD drive of the server. 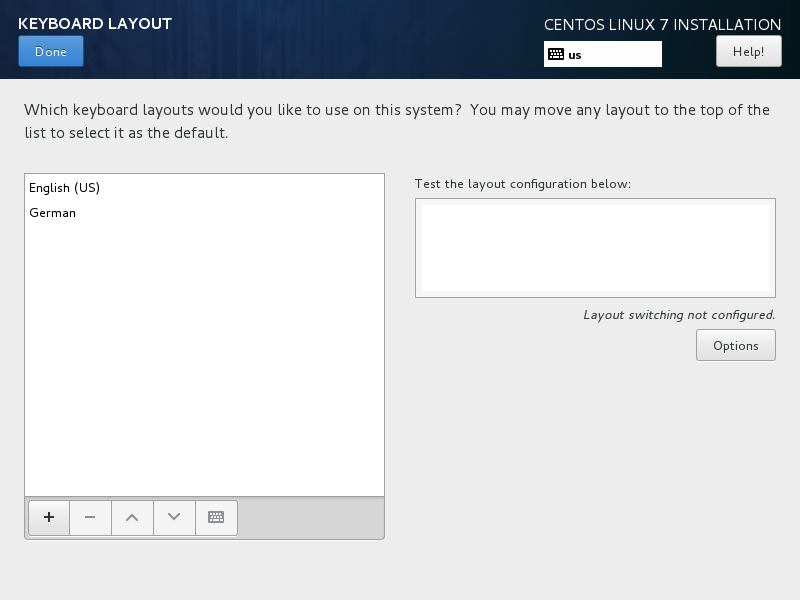 This tutorial is based on CentOS 7.3 server, I use 192.168.1.100 as my IP address in this tutorial and server1.example.com as the hostname. These settings might differ for you, so you have to replace them where appropriate. Boot from your CentOS 7 DVD. Select Install CentOS 7. I will start to customize the settings starting with LOCALIZATION in DATE & TIME Click on DATE & TIME. Select your time zone, in my case, I am selecting Europe as Region and Berlin as City. Press Done when finished. It will set the server DATE & TIME to the Europe/Berlin timezone. 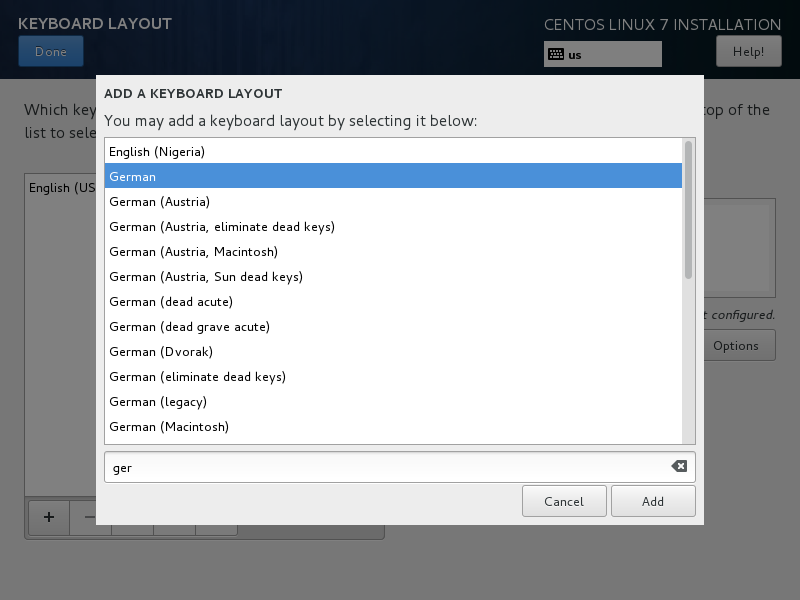 Next, I will customize the KEYBOARD layout, Click on KEYBOARD to start the setup dialog. It will show the following window with the list of available keyboard layouts. In my case, I select German and click on the Add. 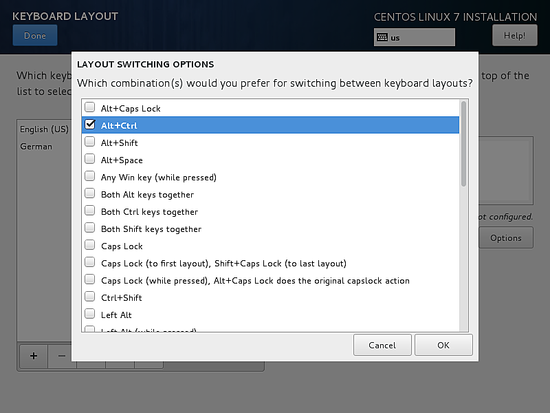 button to add the keyboard layout. You can use any key combination for switching between keyboards, in my case I am using Alt+Ctrl. After selection of your desired key combination, press Done. 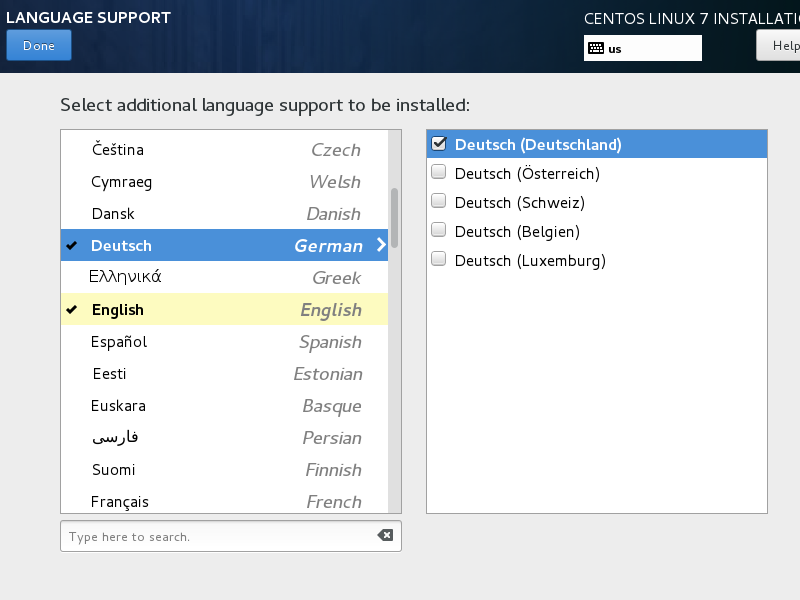 Now we can add LANGUAGE SUPPORT if you don't want to use English. Click on "LANGUAGE SUPPORT" to open the dialog. 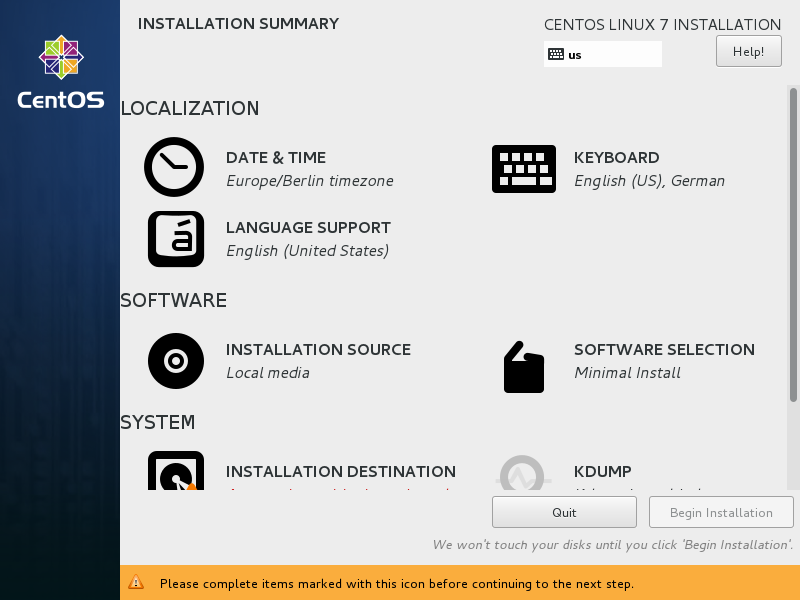 Next, we go to SOFTWARE > INSTALLATION SOURCE and select the installation media. 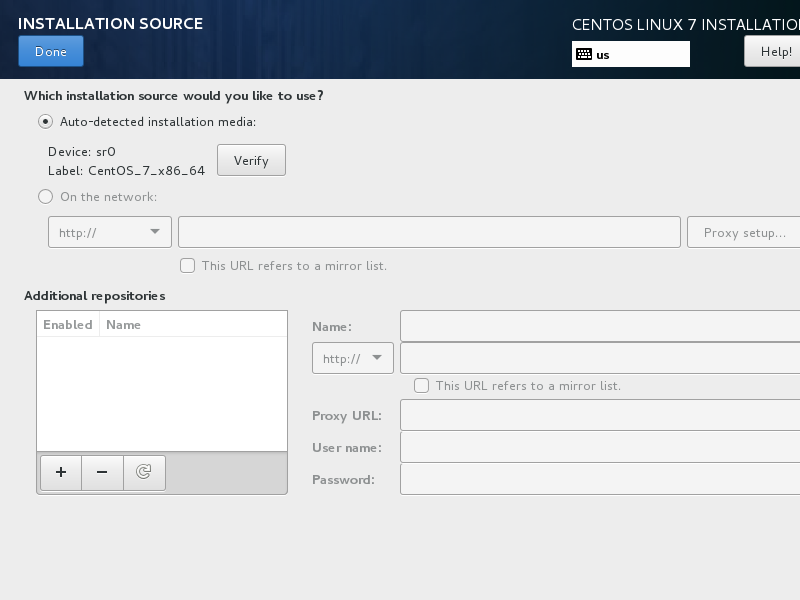 Next, you will see that the installation source is "Auto-detected installation media", if you have any other source of installation like a network install then you can set the path in the "On the network" field with and without proxy from Proxy Setup. Additionally, we can add Additional repositories if needed. Then press Done. Install tutorial straightforward and clear, thnx. 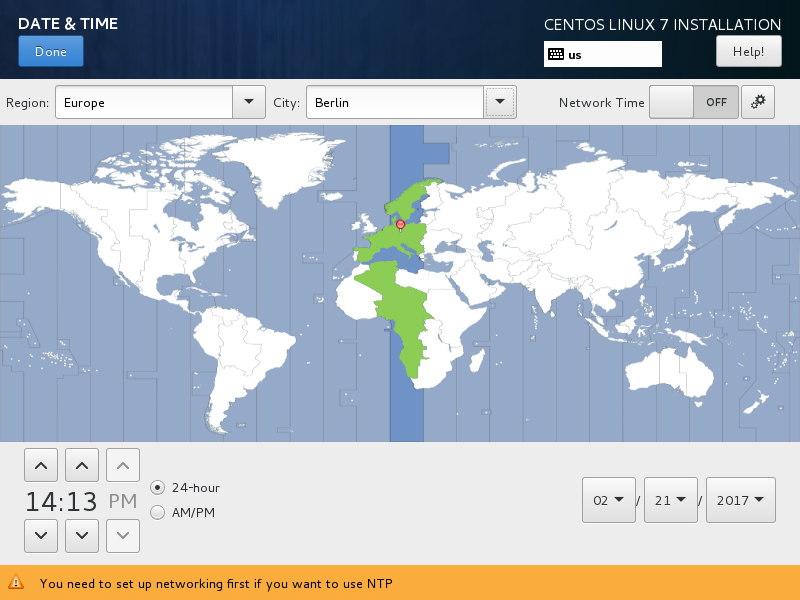 I couldn't properly set a static IP address so I re-installed with auto for the IPv4 settings (but I also have IPv6). Is this bad? Tutorial has deep detailed info, thanks for providing info. 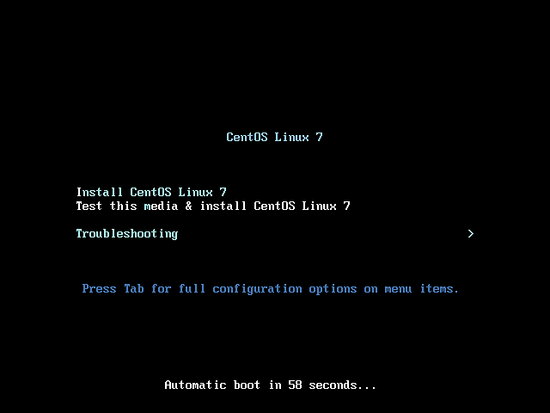 How to Install a CentOS 7.3 Minimal Server as ready to use virtual machine image download in ovf/ova format, compatible with VMWare and Virtualbox.